There is a suggestion … that Armageddon would overtake the degenerate peoples of the world and all creation on the final day of the thirteenth [baktun]. Thus … our present universe … [would] be annihilated on December 23, 2012, when the Great Cycle of the Long Count reaches completion. The Maya track record as far as other events appears to be more subjective. For example one proponent claims that in 755 AD, Maya Priests prophesied that the total solar eclipse of July 11, 1991 would herald two life altering events for humankind - Cosmic Awareness and Earth Changes. While there was in fact an eclipse on that date,15 the other part of the prediction would appear to be a judgment call. However, they claim that this prediction was fulfilled by UFO sightings! Regardless of the issues discussed above and on the maya calendar page, various authors of books promoting New Age, Mayanism and other mystical beliefs have proposed that the Maya predicted a catastrophic apocalypse at the end of the current long count16. There are a few problems with this. 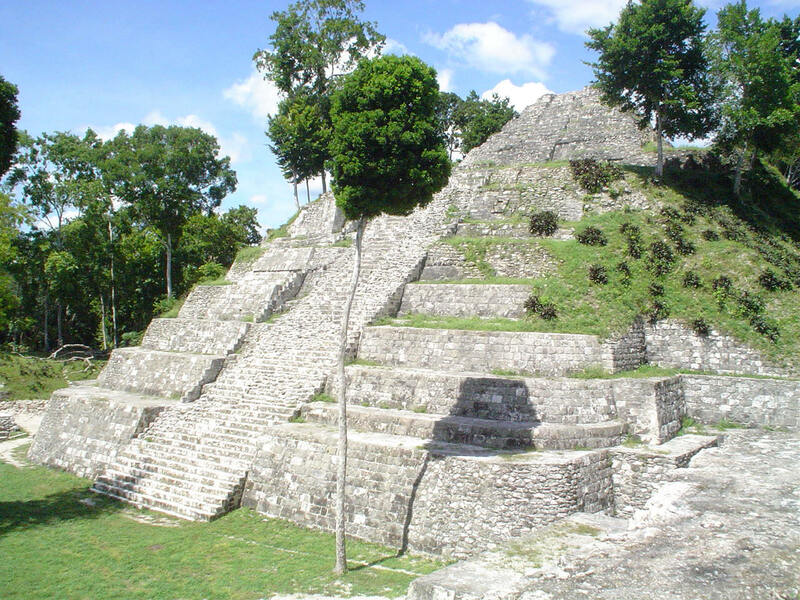 Despite the publicity generated by the 2012 date, Susan Milbrath, curator of Latin American Art and Archaeology at the Florida Museum of Natural History, stated that "We [the archaeological community] have no record or knowledge that [the Maya] would think the world would come to an end" in 2012. "For the ancient Maya, it was a huge celebration to make it to the end of a whole cycle," says Sandra Noble, executive director of the Foundation for the Advancement of Mesoamerican Studies, Inc. in Crystal River, Florida. To render December 21, 2012, as a doomsday or moment of cosmic shifting, she says, is "a complete fabrication and a chance for a lot of people to cash in." We also note that this calendar is still being used by some cultures in the highlands of Guatemala! There are no reports of preparations for doomsday. Second: The B’ak’tun date 13.0.0.0.0 is not the “end of the calendar” we’ve heard so much about. It is the end of a cycle of 144,000 days, or 394 solar years. It may or may not also be the end of a higher-order cycle. If one piktun is 13 baktuns, then the 2012 solstice is also the end of a cycle of 5125 years. If one piktun is 20 baktuns (as most scholars think) then the current cycle does not end in 2012. The calendar is mostly base-20, except in the second position, which clicks over to zero when it reaches 18. Third: Some Maya inscriptions reference dates after 2012! What? Wait? How is that possible? Because, dear reader, the Maya Calendar also has four “rarely used” (which is not the same as “non-existent”) higher order cycles! As mentioned in the Syntax section, there are also four rarely-used higher-order periods above the b’ak’tun: piktun, kalabtun, k’inchiltun, and alautun. So, according to these authors, we have not even reached the end of the current bak'tun cycle, and will not do so until the year 4772. Other authors extend the calendar even further. Schele and Freidel20 contend that the current calendar does not 'end' until the day 13.13.13.13.13.13.13.13.13.13.13.13.13.13.13.13.13.13.13.13.0.0.0.0 ( counting from the theoretical end of the previous world in 3114 BC ). Each column is equal to twenty times its predecessor, so that date lies some 41,341,049,999,999,999,999,999,994,879 years in the future! In conclusion; We have shown that the majority of Mayanist scholars ( as opposed to proponents of Mayanism and the 2012 doomsday ) do not think that the 2012 date relates to a prediction of an apocalypse. 8. Recently a reader advised that the 13th Bak'tun also appears on the Quirigua stelas. Normark replies that stela C mentions the "creation date" 13.0.0.0.0 4 Ajaw 8 Kumk'u (August 13, 3114 BC). This is therefore not the "end date". The clue is given in the Calendar Round date (4 Ajaw 8 Kumk'u). The "end date" is on 4 Ajaw 3 K'ank'in. 16. The "long count" is a numerical depiction of the Maya glyphs representing a calendar date. It takes the form of 5 numbers separated by periods. Each number is in base 20 (digits 0-19) except the second from the right, which rolls over at 18. See the Long Count page for more details. 21. Actually, as shown in the John Major Jenkins page, The Great Rethinking page, and links given therein, Jenkins repeatedly contradicts himself regarding what, if anything, the Maya predicted for 2012. 1. Coe, Michael D. 1966. The Maya. Ancient Peoples and Places series (1st ed.). Thames and Hudson. ISBN 0500285055,. 6. Normark, Johan. PhD. 2009-07-29. Personal communication. 7. Normark, Johan. PhD. 2009-12-02. Personal communication.